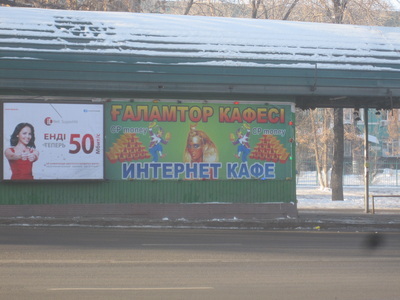 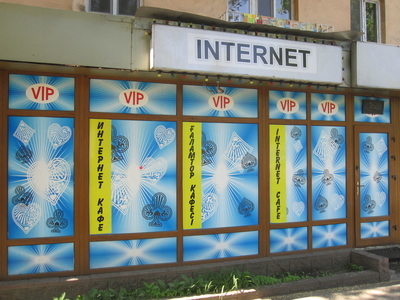 In 2007, President Nazarbaev announced that all casinos in Kazakhstan would have to move to two new special gambling zones, Kapshagay and Shchuchinsk, lakeside resort towns that would soon earn the nicknames "Kaz Vegas." 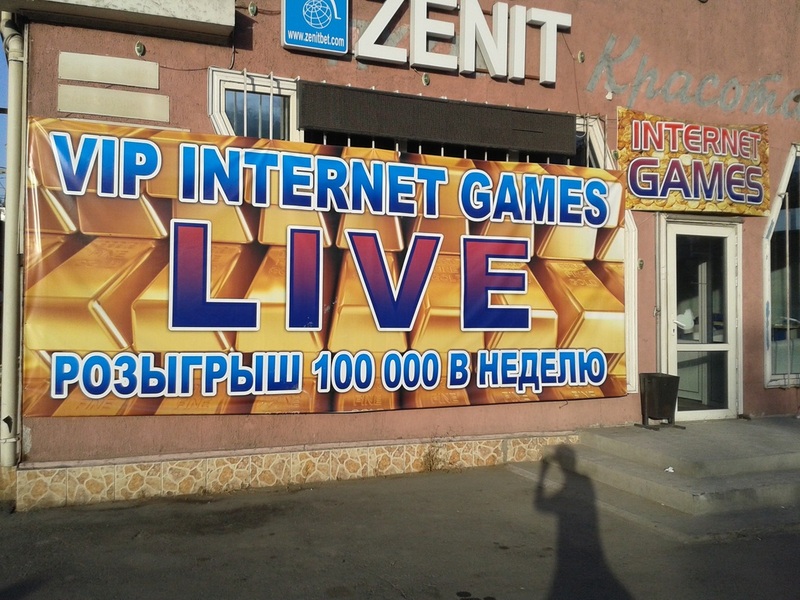 Any other casinos in Almaty or elsewhere would have to close down. Most of the gamblers during the subsequent reshuffling started going to Bishkek, where the number of casinos exploded, or to underground joints (a friend of a friend worked in one, in a speakeasy at the back of a clothing shop). 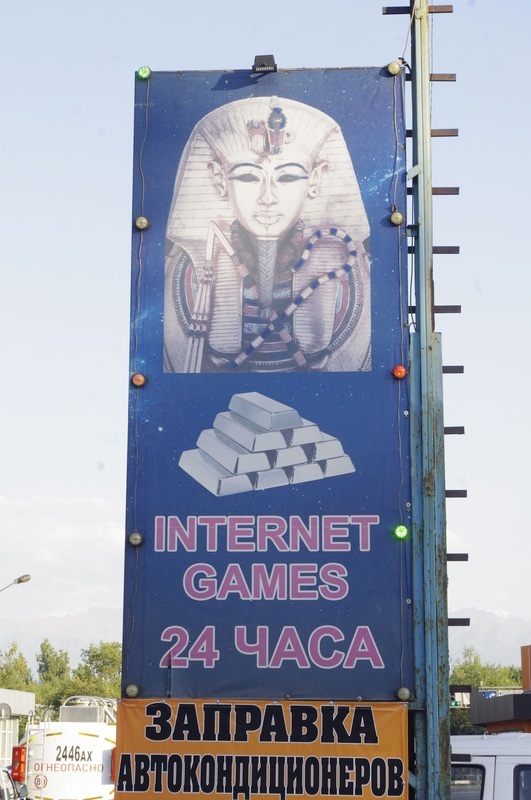 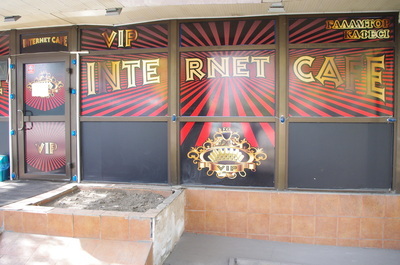 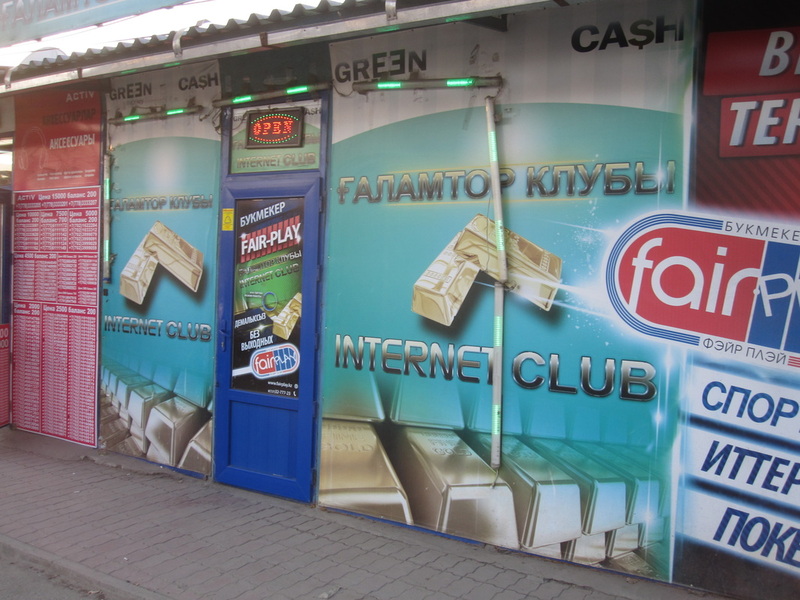 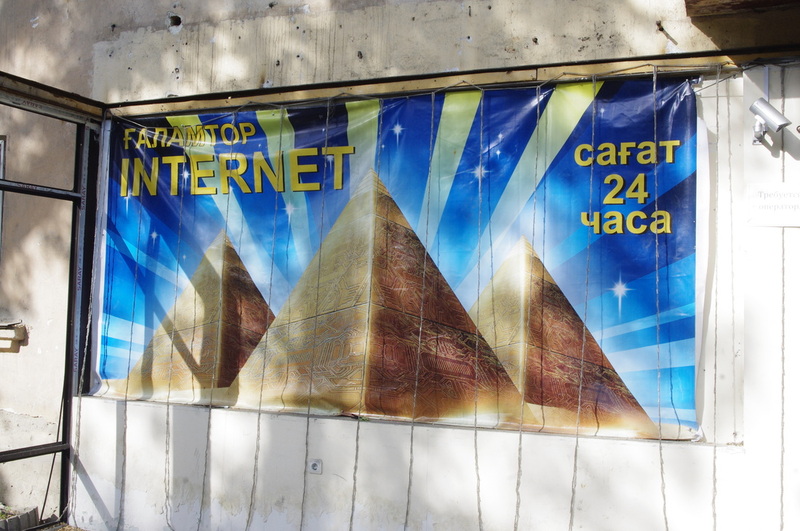 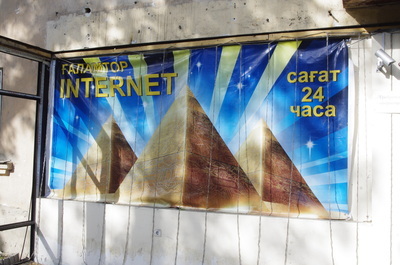 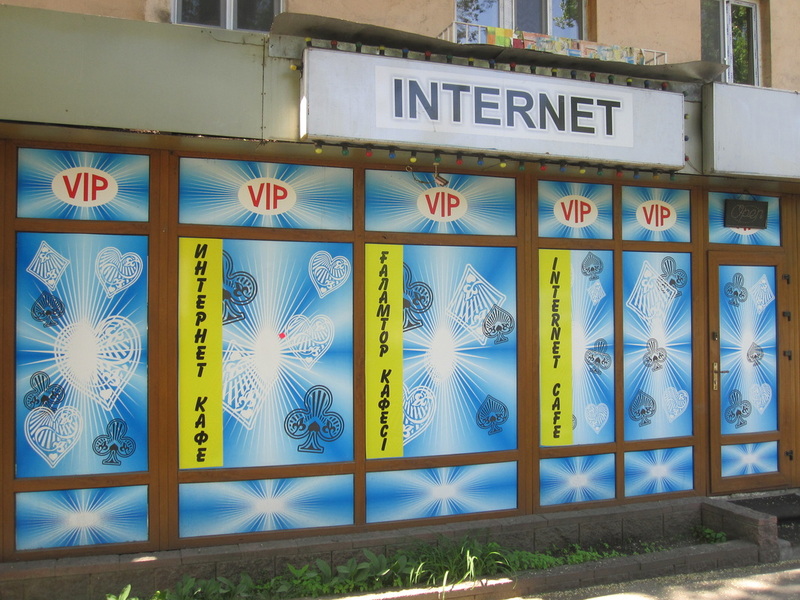 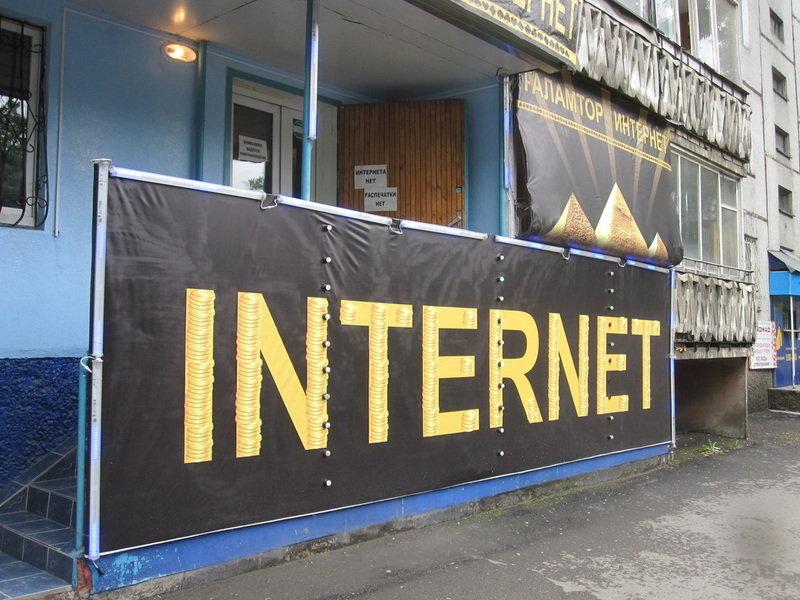 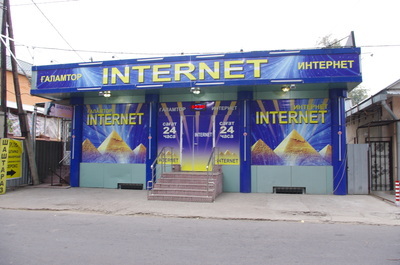 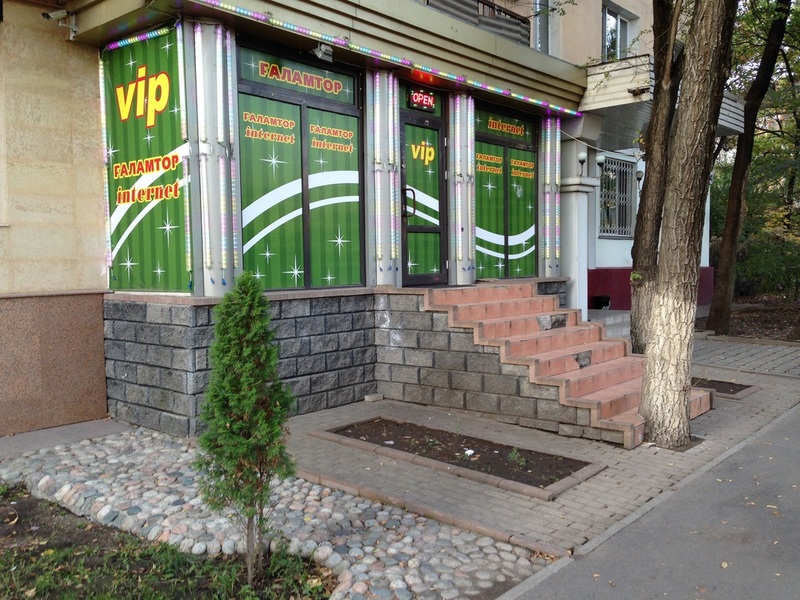 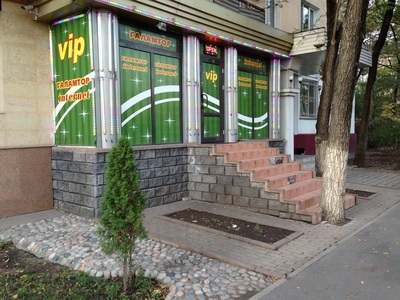 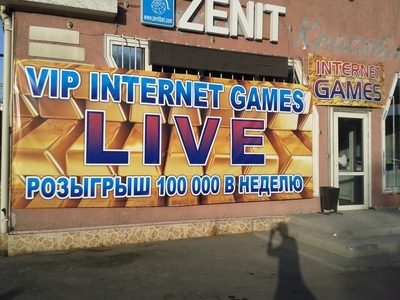 Somehow internet gambling was not touched, so Almaty's internet cafes have turned into smoky rooms full of sad people playing roulette on PC screens, and the advertising banners outside show symbols not normally associated with access to Firefox and e-mail: gold bullion, Egyptian pyramids, and stacks of greenbacks.